Situations of crisis are very normal and usual for big or small organizations. But what matters is not the level of crisis, but how the management handles the crisis, how do they escape and recover any losses which might have happened during the time of crisis. To do so, the organization or company must set a crisis communication plan first, which will help the organization to communicate efficiently. 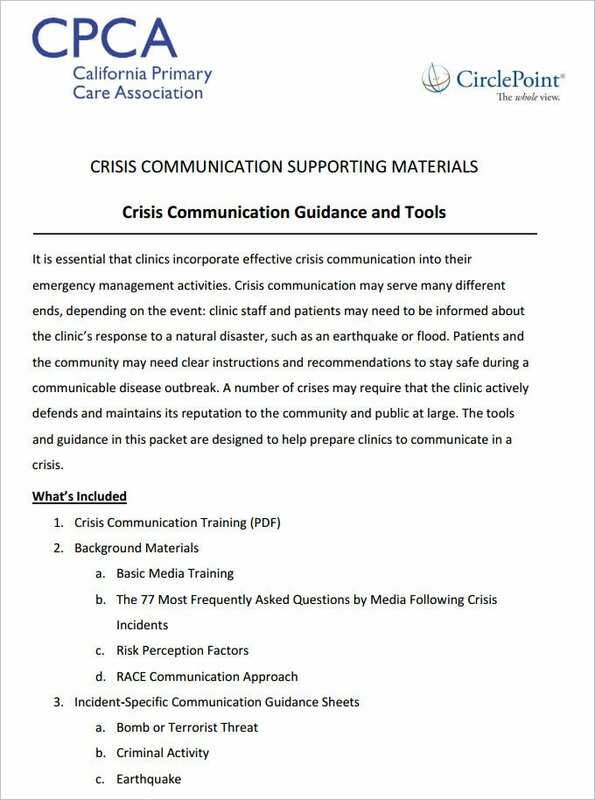 > What does a Crisis Communication Plan usually consist of? 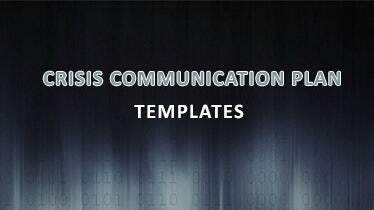 Before you download one of the sample crisis communication plan templates that we have got for free, you should know what a plan such as that is usually made up of. 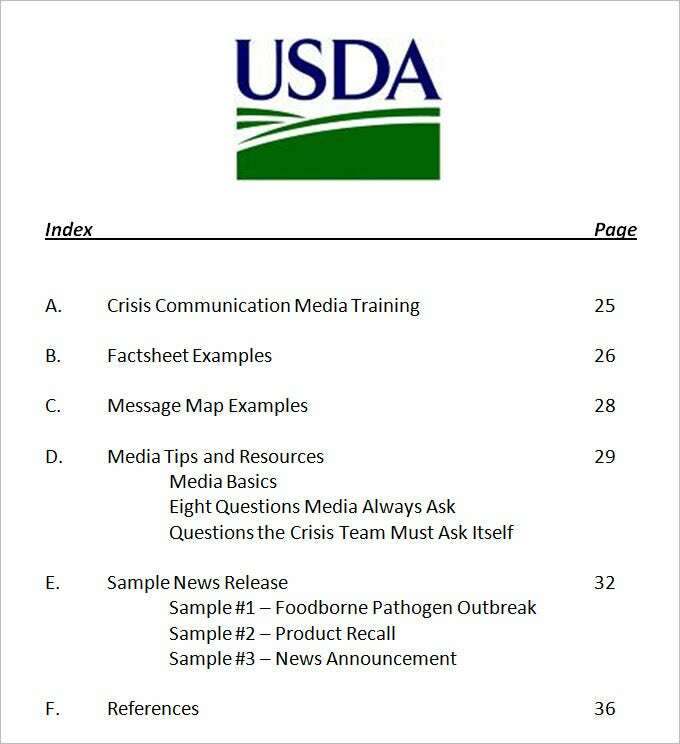 Here are all the components of a crisis communication plan listed out. The crisis is firstly mentioned in the beginning of the template. The meetings and the conferences that are to be held for solving the crisis are listed out. The schedule of the meetings is planned out so they can be held accordingly. School Crisis Communication Plan Template: School Crisis, mostly the scenarios where natural disasters like earthquakes happen. In such situations, the school management creates a crisis communication plan. A crisis management committee is made to ensure that the plan is efficiently executed. A school crisis communication plan is made to make sure that the information is provided to parents, students and staff efficiently and in order so they don’t get confused. Crisis Management Plan Template: In any case of business disruptions or interruption that pose threats of damages to life, property or goodwill of the company, crisis management plans are made to handle the situation. 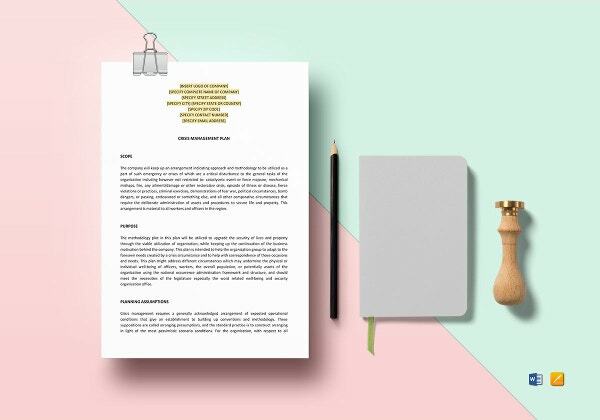 The document provides a communication plan which ensures that all necessary information for the employees of an organization is distributed in a structured manner and action plans that shall be implemented by the designated person or persons. Crisis Communication Action Plan: Action Plans are made in the crisis communication plans in case the crisis gets worse. Action Plans are implemented when needed, and also when the situation of crisis seems to be running out of control. Action Plans can be executed by only a designated higher authority and can involve any executions for the betterment of the situation. Crisis Communication Management Plan: This section states that the organization must establish a crisis management committee which can handle all the training and consultancy communications. The committee must ensure that all the necessary tasks are executed, and if needs be; the employees must be trained with required skills according to the crisis. Crisis Communication Plans are used in case of situations which pose the threat of damaging lives or the infrastructure of a business or organization. Situations which cause any kinds of disruptions in a business are termed as a crisis. To handle such situations, crisis communication plans are made so that the management can communicate in proper and efficient ways. 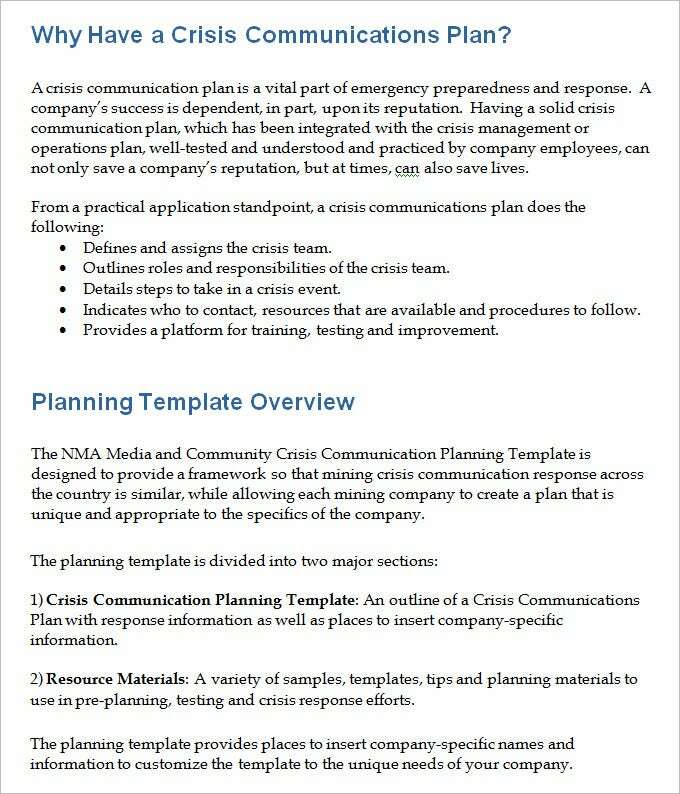 Crisis Communication Plan Templates are very useful and beneficial too as they help the business to recover from the crisis situation faster by ensuring that there is proper communication between the crisis management committee and the employees. 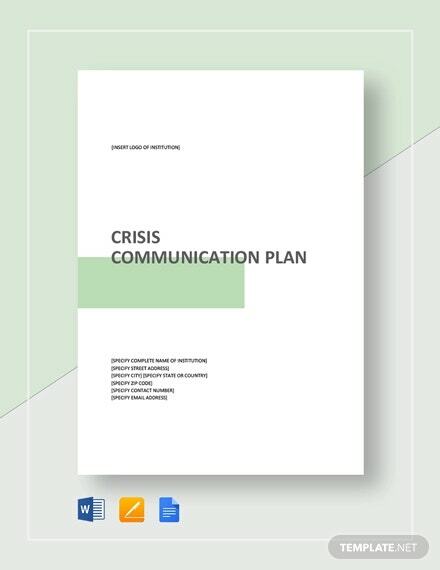 A crisis communication plan is made after analyzing the situation and all the necessary resources needed to recover from the crisis are mentioned into it. Anticipate Crisis: Keep preparing for the possible crisis and maintain a team to handle it. This is the fastest way to recover or even prevent a crisis situation. A capable crisis communication team: Select the persons of the team from different fields so that each of them can handle different situations. Notification & Monitoring systems: Make sure all the communication systems are working so that efficient communication can take place. 10+ Quality Control Plan Templates – Free Sample, Example, Format Download! Why are Action Plans Important for a Business?